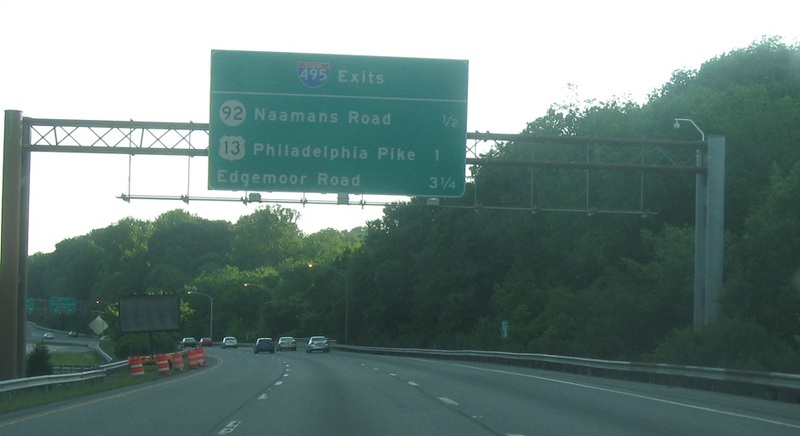 Reassurance shield after the Route 452 junction. 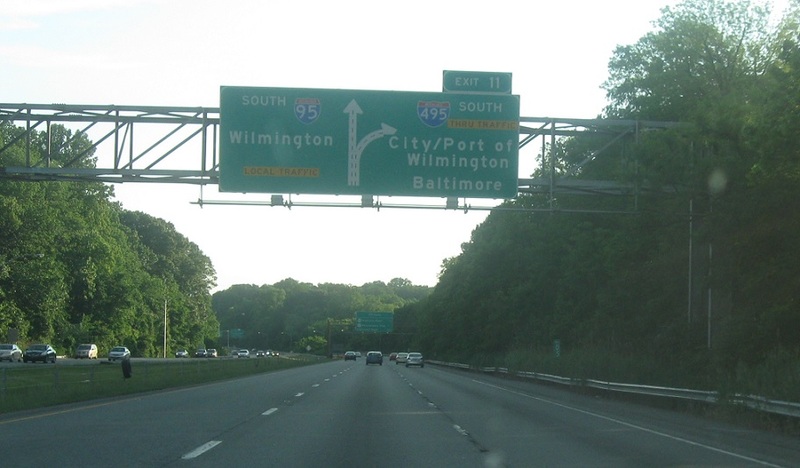 As we near the Delaware line we’ll approach I-495, which is the beltway around Wilmington. The interstates will split right at the state line. 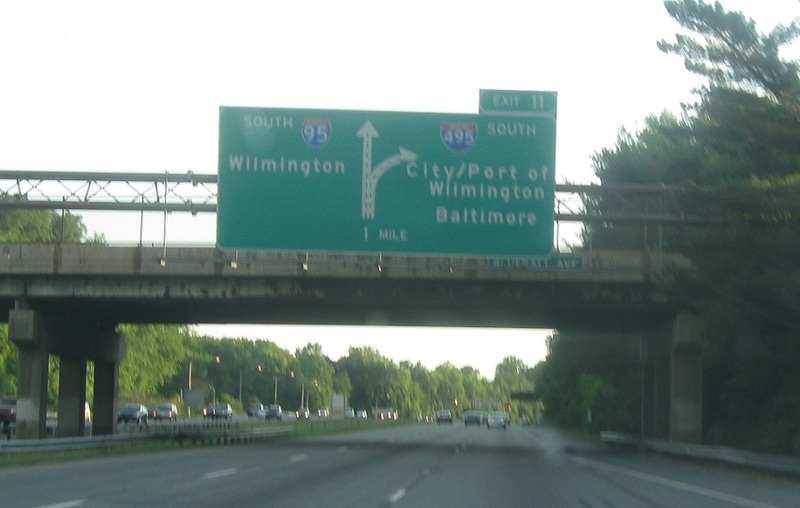 Follow I-495 for Delaware 92, which is effectively part of this interchange. 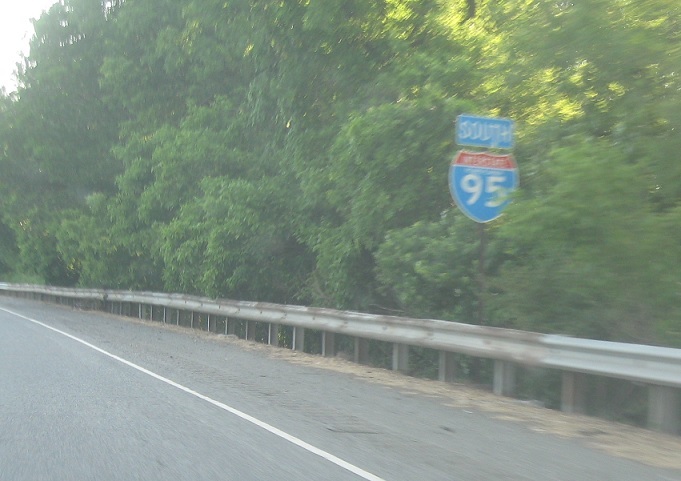 Further south on I-495 the highway will intersect US 13. Keep right for 495 south and left for 95 south as we enter the First State.